Shark Tank is one of my favorite TV shows because it promotes entrepreneurialism and small business – what America stands for! 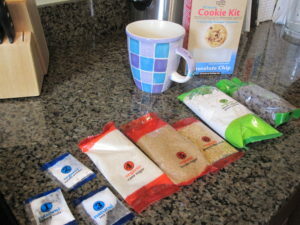 I am always very excited to try new Shark Tank products, so when I found a cookie kit at Target, I had to try it. Scratch and Grain Baking Co. was featured in season 6 where Barbara gave them a deal. 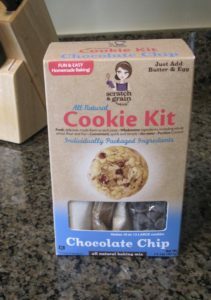 Scratch and Grain designs natural and organic baking kits for cookies, brownies, and more. I love to bake, but I haven’t really baked in the last 3 or 4 years. Even since moving into my new house, I haven’t bought sugar and flour to bake! I was in a baking mood this weekend, so now was a great time to try. All of the ingredients (except butter and an egg) are included in this box. 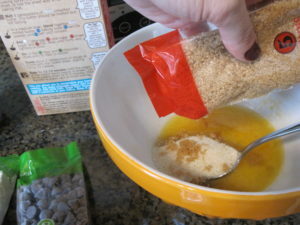 You don’t need to use measuring cups, so it makes clean up easy! 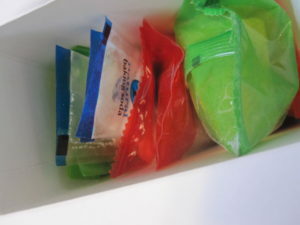 All you have to do is add the ingredients in the correct order, and they are even color coded and numbered. I was able to mix everything in less than 10 minutes. A helpful hint on the box reminds the baker not to overmix the flour. A helpful hint for all baking projects. 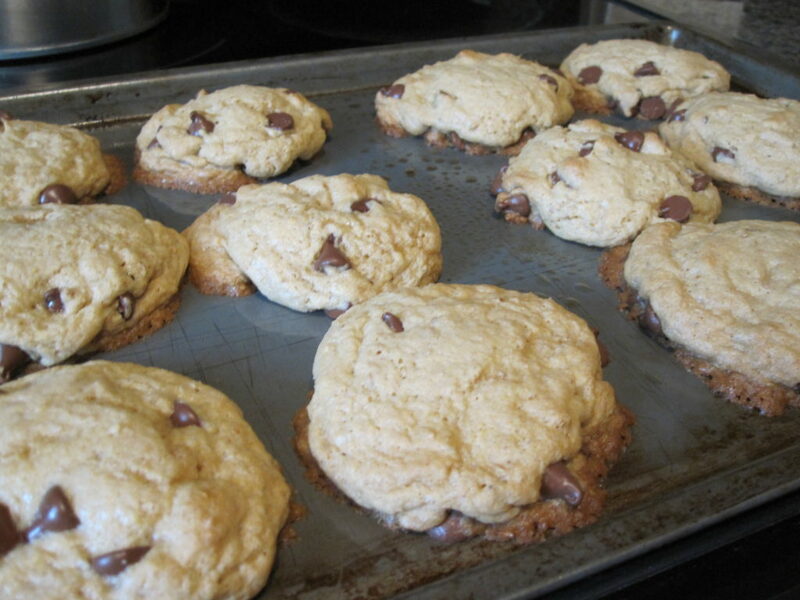 Once you have your batter, you just need to arrange the dough on the cookie sheet. They bake for 10 minutes, so this whole project takes only 20 minutes or so. Take them off the pan to cool, and I was pleasantly surprised at how delicious they were! Had I still lived in NYC, this would be the perfect fix for when I wanted to bake! My cookies turned out perfect! 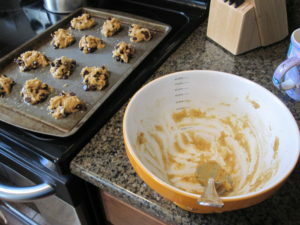 I am always careful not to over bake any good since a little gooey is always better. This was such an easy process, I will definitely buy this again. I can’t wait to try some other products from their line. I even packaged them for m y friend and me to eat at the theater. 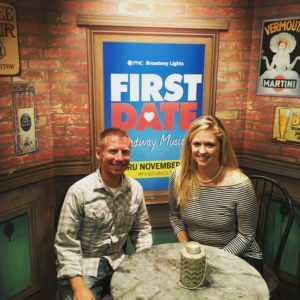 If you have a chance to see First Date do it! It was hilarious. I wouldn’t suggest it for children (language and some crude humor), but great for any adult. I can’t imagine someone not enjoying it. The cookies made for a great treat. Until next time, rosy wandering!